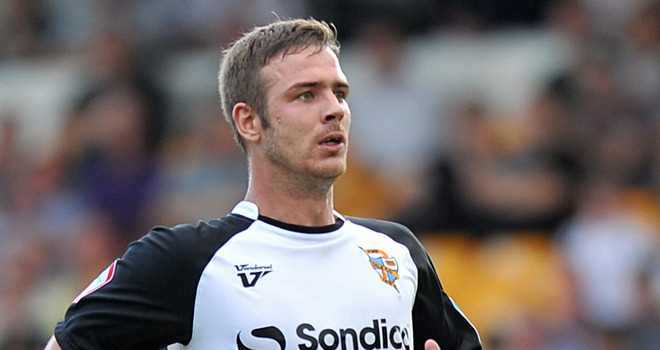 The top goal scorer in League 2 this season is Tom Pope, who is playing in Port Vale. He played every single game this season which means he had 46 league appearances. He scored 31 league goals. 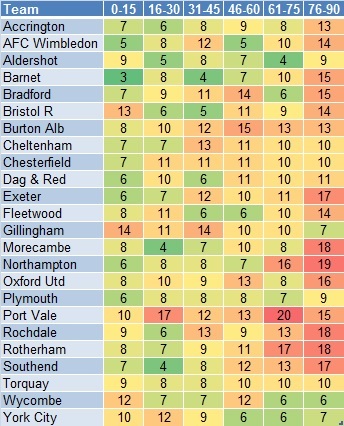 Port Vale had 87 league goals in total. 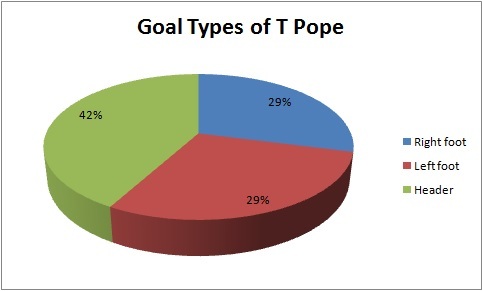 Therefore, Pope has scored 35.6% of team goals. He is a tall striker with the height of 1.91m. He is 27 and will become 28 next season so he is at the peak of his career according to the analysis of optimum player age from Prozone. In 31 goals, he scored 13 header goals, 9 goals by right foot and 9 goals by left foot. He is an all-round striker who can score goals through different ways. He is strongest at header goals (42%) and it is reasonable considering his height (1.91m). He is good at both feet as well because he scored considerable amount of goals through right and left foot. 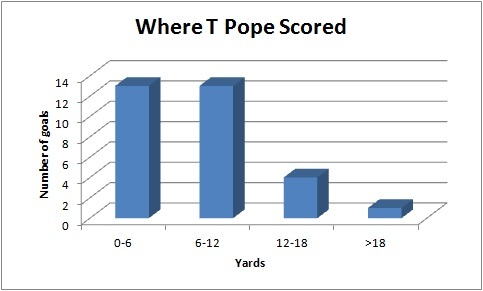 The above chart shows that Pope scored most of his goals in the 6-yard box (13 goals) and 6-12 yard area (13 goals). 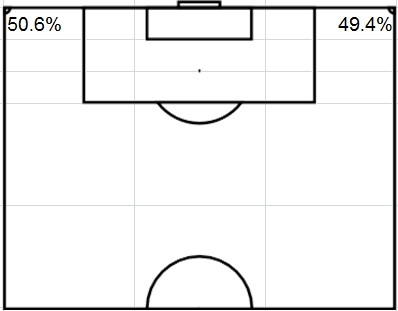 Considering 42% of his goals were header goals, it shows that he played like a target man inside the box and waited for the chances in the 12-yard area from the goal. 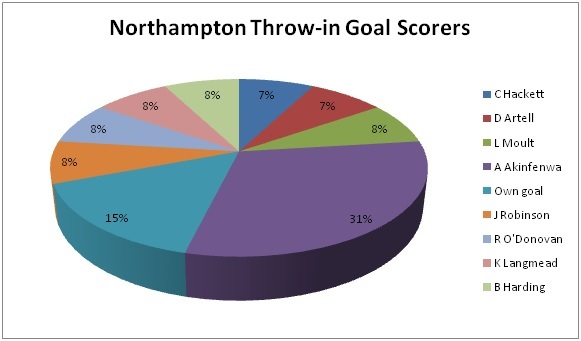 Therefore, he is not good at long shot as he scored only 1 goal outside the penalty area. The chart shows a characteristic of Pope. He was particularly strong at the 15-min period of both halves. He scored 8 goals in 16-30 mins and 61-75 mins periods. The phenomena was more obvious in the first half as he scored only 2 and 3 goals in the first 15 mins and last 15 mins in the first half. 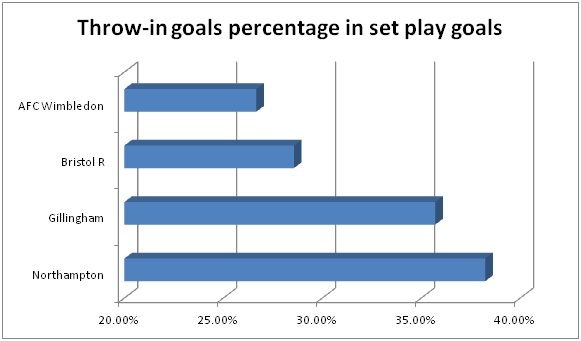 The above two charts show the comparison of the Tom Pope and the team regarding the open play and set play goals. 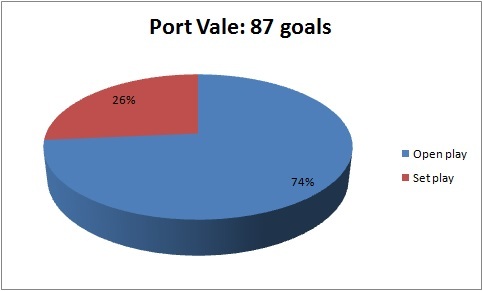 In Port Vale team, 74% of goals were open play goals. 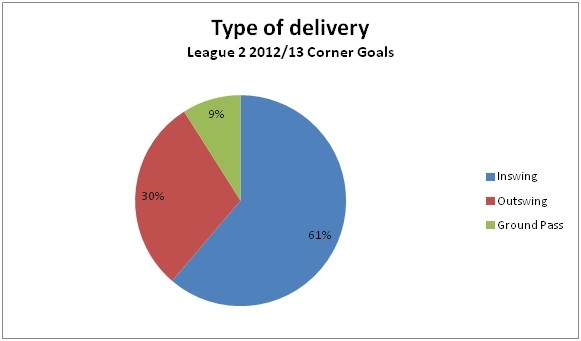 On the other hand, 81% of Pope’s goals were open play goals. 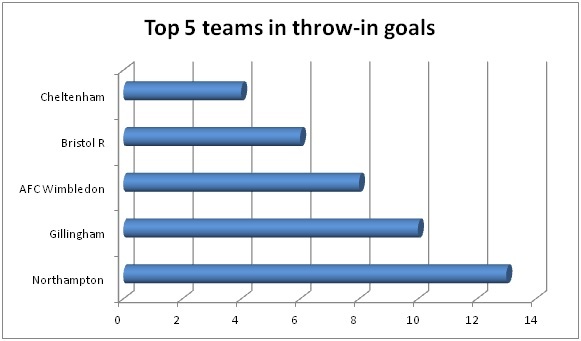 That means Pope contributed for the team more in open play goals. He hadn’t scored any penalty this season. He had only 6 goals from set play. Where the assists came from? 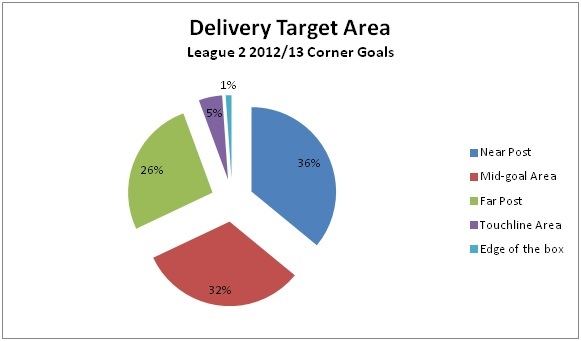 The above diagrams show that most of the assists were from the flanks (67.7%), especially the left flank (48.4%). 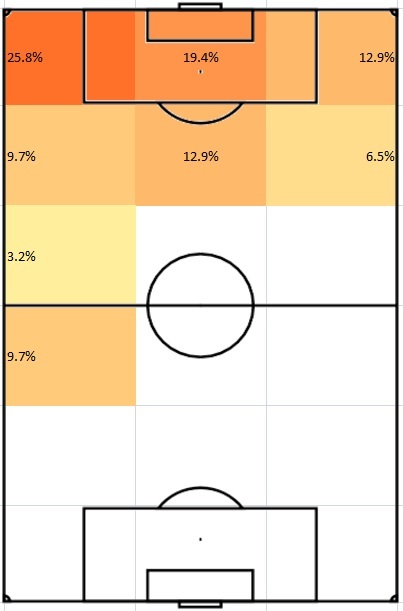 32.3% of assists were came from the middle zones. 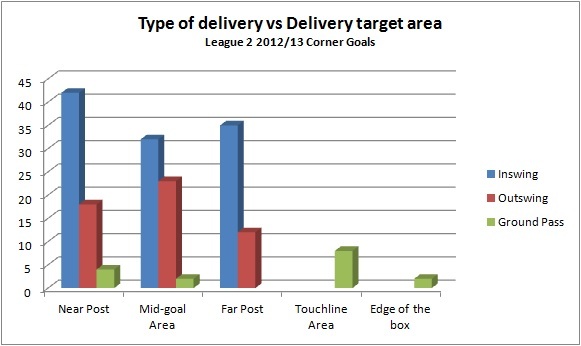 It shows that the delivery from the flanks were more suitable for Pope to score. It fitted the previous result showing that he is strong at header. This leads to an assumption that crossing should be the main source of the assist type which will be discussed in the following chart. 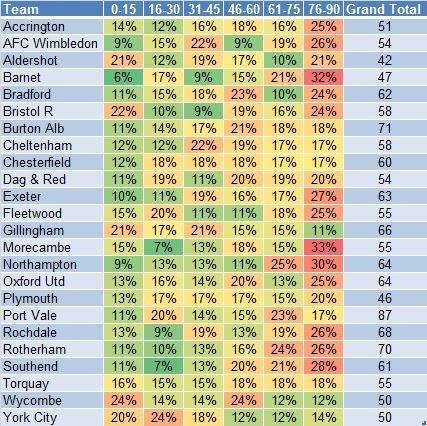 The reason of 48.4% of assists in the left flank could be explained by Port Vale’s strength to attack through the left flank. 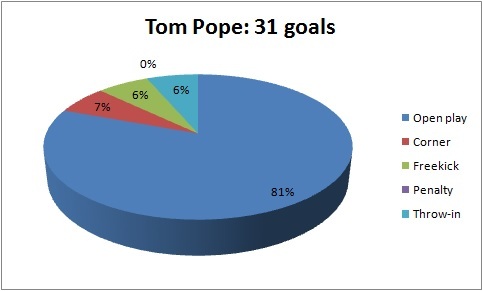 The previous results show that Tom Pope is stronger at header and most of the assists were came from the flanks. 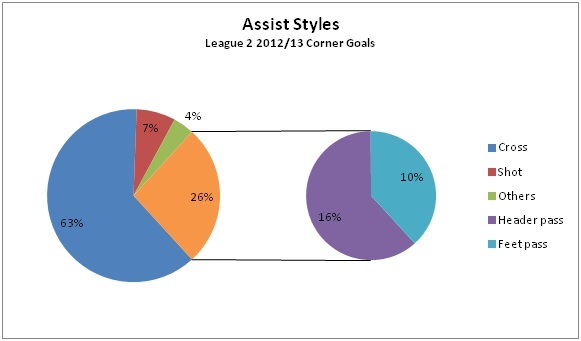 The above chart supports the previous findings because it shows that crossing is the main source of the assist styles (45%). The “others” assist style included dribbling and regaining possession but these were not the main source of Pope’s goal. 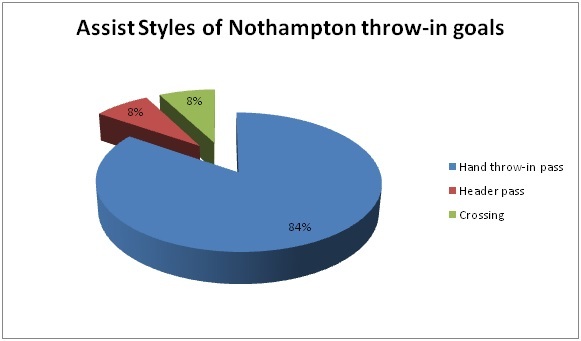 The second main assist style was passing (26%). 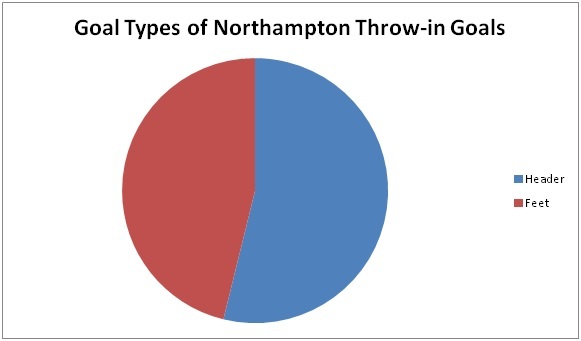 It was related to the following analysis about the number of touch he used to score goals. 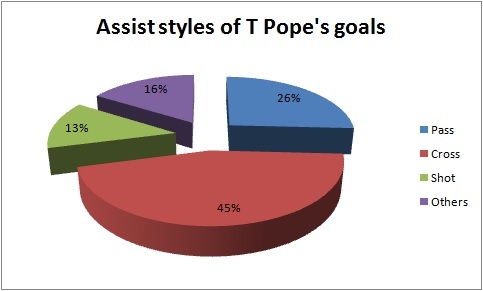 68% of Pope’s goals were scored by one touch. 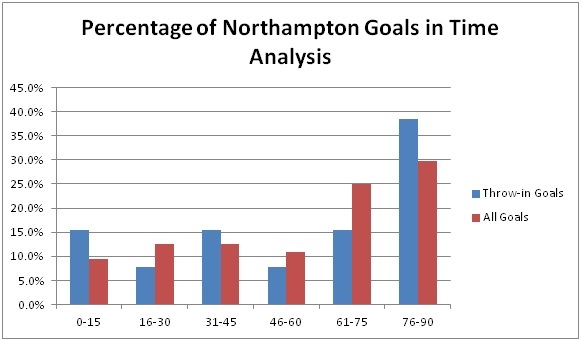 It fitted the previous results showing that 45% of his goals were from crossing and 26 out of 31 goals were scored within the 12-yard area from the goal. His ability to score one-touch goals is a key to his playing style as a target man working mainly near the goal. Remember he is an all-round striker who is good at scoring goals by header, right foot and left foot. It helped him a lot to score one-touch goals. 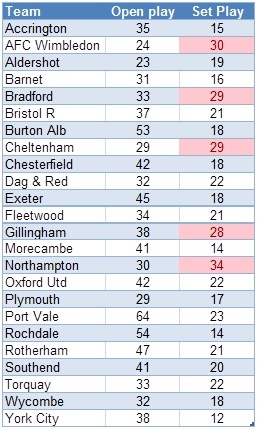 26 out of 31 goals were scored with 12-yard area from the goal. It fits his playing style as a target man. 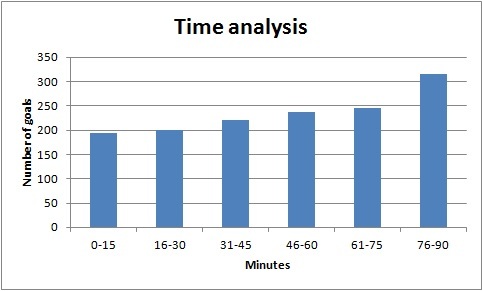 He was particularly strong at the 15-min period of both halves (i.e. 16-30 mins and 61-75 mins). 16 out of 31 goals were scored in those 30-min periods. 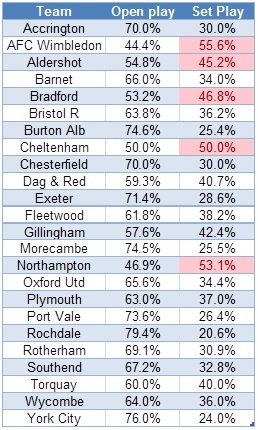 He was stronger at open play (81%) than set play (19%) comparing with the stats of the Port Vale team (74% vs. 26%). 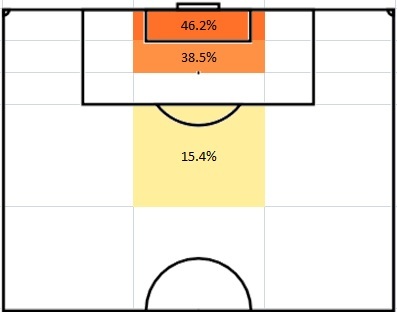 In order to bring out the best in Tom Pope, Port Vale should provide crosses from the flanks and let Pope stay at the 12-yard area from the goal for him to score one-touch goals in the coming season.